Oregonians are being asked to weigh in on complicated health care financing and election day is Jan. 23. It’s enough to make a voter’s head spin! CLP Current Events makes sense of Measure 101 for students and voters alike. Check out our News Sources including articles, voter resources, and YES and NO camp pieces. Approves temporary assessments to fund health care for low-income individuals and families, and to stabilize health insurance premiums. Temporary assessments on insurance companies, some hospitals, and other providers of insurance or health care coverage. Insurers may not increase rates on health insurance premiums by more than 1.5 percent as a result of these assessments. Result of “Yes” Vote: “Yes” vote approves temporary assessments on insurance companies, some hospitals, the Public Employees’ Benefit Board, and managed care organizations. Assessments provide funding for health care for low-income individuals and families, and individuals with disabilities; also stabilize premiums charged by insurance companies for health insurance purchased by individuals and families. Insurance companies may not increase rates on health insurance premiums by more than 1.5 percent as a result of the assessments. Hospital assessments may not begin without approval by a federal agency. Result of “NO” Vote: “No” vote rejects temporary assessments on insurance companies, the Public Employees’ Benefit Board, and managed care organizations; and either rejects or delays temporary assessments on some hospitals. Assessments rejected (or delayed) by a “no” vote are currently budgeted to fund health care for low-income individuals and families and individuals with disabilities and for stabilizing the costs of insurance premiums. As a result, a “no” vote would underfund these budgeted costs. If the voters reject Ballot Measure 101, it would eliminate the temporary assessment on insurance companies, the Public Employees’ Benefit Board and managed care organizations and delay the collection of the additional 0.7 percent hospital assessment until the later of January 1, 2018, or the date that a federal agency approves the changes required by the amendment. The effect would be to underfund the budgeted costs for providing health care to low-income children, adults and families and individuals with disabilities and to eliminate the funds budgeted to stabilize health insurance premiums paid by individuals and families. The above is from Ballotpedia, a website dedicated to providing “neutral, accurate, and verifiable information”. CLP: more concise and readable description of the stakes in M.101. CLP: K-Falls news source combines history of the healthcare funding with straightforward reporting of the challenges. CLP: Find answers to your questions here — not short but it is comprehensive! Offers the most complete look at M101, arguments pro and con, and more. CLP: always reliable LWV for voting info! CLP: news reporting on the YES position. CLP: One-sided but helpful perspective. The Daily Emerald is UofO’s independent student media organization. CLP: Sen. Steiner Hayward is a physician in her non-legislator life. CLP: Editorial clearly raises the NO position. What are the arguments to vote YES? What are the arguments to vote NO? What does a YES vote mean? 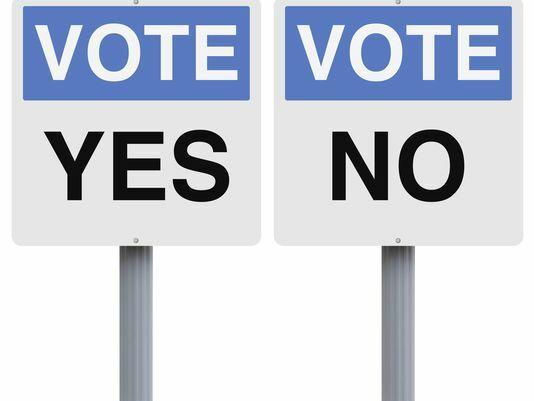 What does a NO vote mean? Is this a referendum on the Legislature’s failure to find funding sources for basic needs? Is this a referendum on lack of action by state leaders to resolve funding issues? Is this a referendum asking voters to approve a “fix” approved by the Legislature? Is this a tax? Is the health of many Oregon citizens in jeopardy if the Measure 101 fails? What are alternatives to Measure 101? What action is available to the Legislature in the February short session? How might the upcoming legislative session affect votes on Measure 101? Is a referendum unsuited to solve complicated policy issues? What are the alternatives to referring this to the voters? Did the Democratic majority in both the Oregon House, Senate and Governor’s office influence the original vote? Should funding health care be a partisan issue? What is Medicaid and how does its funding influence state decisions? What impact might Federal legislation on health care have on Oregon Measure 101? Why is this vote important for the future of Oregon? Is there a danger that voters will not participate in a January election? How would you convince voters to cast votes in this election? What are the negatives in a referendum? Lower turnout, possible extremist influence, unclear voting as to yes or no, reaffirming a legislative law or cancelling the law? How might health insurance premiums be impacted by this measure? How is children’s medical care affected by this measure? What are the positives of referendums? Promotes direct democracy, prevents run away legislation, encourages activism? What does it mean to have a right to health? How should we pay for health care? CLP: examples of potential downfalls of referendums.